When I read this post, I knew it had to kick off the 2013 Feel Good Friday blog. Although particularly touching to me, it’s the sort of heart-warming, candid, meaningful, fun filled articles you can count on in Rachael’s blog. Check out more of her stories at www.fuzzygalore.com and you’ll see what I mean. Thanks Rachael for allowing me to share. 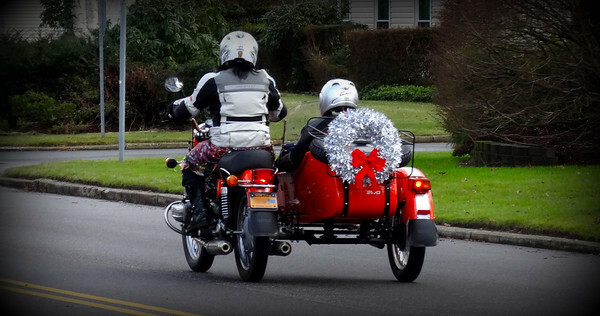 Originally posted December 28, 2012: A Christmas Ride with Mom; Reposted with permission. I threw my riding jacket on over my dress, slipped a pair of jeans and with the biggest smile in the world on my mom’s face ~ away we went putt-putting down the road. Thank you so very much for the kind words and for including me in your terrific blog, Liz. I’m really touched. Wishing you many blessings & happy, safe miles in 2013. Thanks for sharing it Rachael. All the best to you as we’ll. Wonderful! We made the day of our old neighbour! She turned 85 and uttered a couple of time stay she always wanted to ride on a bike but never got the opportunity. Her birthday was in the end of June and the weather was great. So my hubbie went over and asked her if she is ready to have a ride. Same thing there – without a hesitation and a big smile in the eyes a lady she said yes!!! So we packed her into my riding gear (my bike is a solo ride) and put her on the back of my husbands big Harley. Off they went. I sat with her sister on the road on chairs in the sun, waiting for them to moe back. We could hear the bike roar on the country roads around us and we knew, they were having some speed, accelerating and just having fun! My hubbie told me she was on the back, screaming ‘ I am free, I am free!’ What a ride for her, it made her day! Funny thing was, her ‘baby sister’ aside of me, was getting green with envy. She was ‘only’ 79 and wnAted to go as well…! 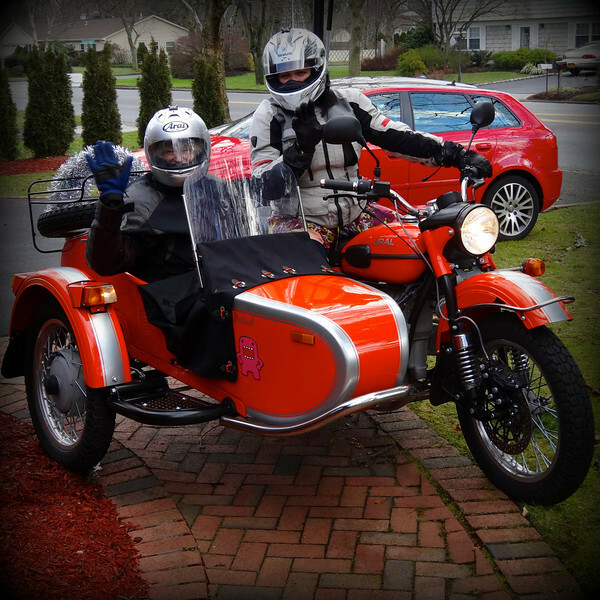 So when the 2 finally came back, Dave had to go out again and take her for a ride She had had a hip operation and had some trouble to get on, mostly laughing but it was worth it all, she always said! Our dear neighbour died shortly before her 90. birthday. Our gift for that day was supposed the next wish she had…. Smoking a joint…. It is easy to make someone happy, so go on and do it! A lovely event. How lucky that she was was able to take a parent or a ride. take a motorcycle ride with them. The world always need more motorcycle riders. Thanks for your wise words Mary. Sadly, no. But I am super happy about Fuzzy’s ride with her Mom. Thanks for sharing!